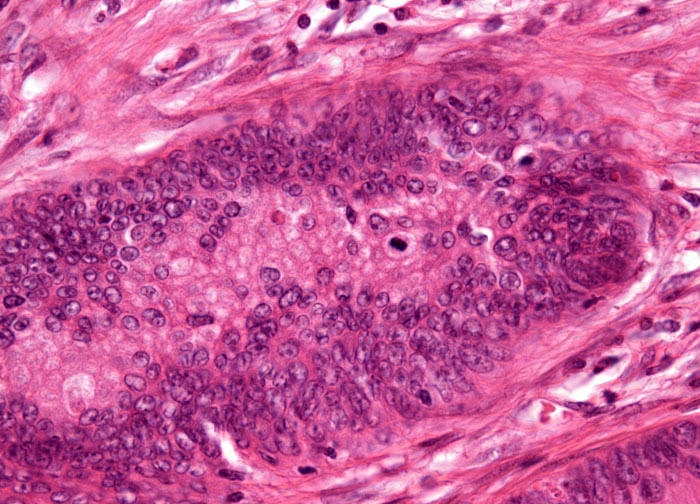 Frequently colon adenocarcinoma is asymptomatic in its earliest stages. When symptoms do develop, they generally are manifested as disorders of digestion and waste eradication. Among the most common symptoms of the disease are diarrhea, constipation, pain in the abdomen, appearance of blood in the stool, and appetite loss. Fatigue, shortness of breath, jaundice, and accumulation of fluid in the abdominal cavity (ascites) may also occur, but usually not until the disease is well advanced. Due to the generally slow development of symptoms, most adenocarcinomas of the colon have grown several centimeters in diameter by the time they are successfully diagnosed.